(CBS/AP) LONDON - Married Australian shooter Russell Mark will be sneaking into the women's accommodation at night at the Olympics. His wife is fine with it. That's because Russell and wife Lauryn are going to have to go behind the backs of Aussie team officials to sleep in the same bed at the athletes' village. They are both members of Australia's shooting team at the London Games but have been prevented from sharing a room. Teams are traditionally split into male and female rooms at the games. Russell and Lauryn opposed that and asked if they could room together - but to no avail. 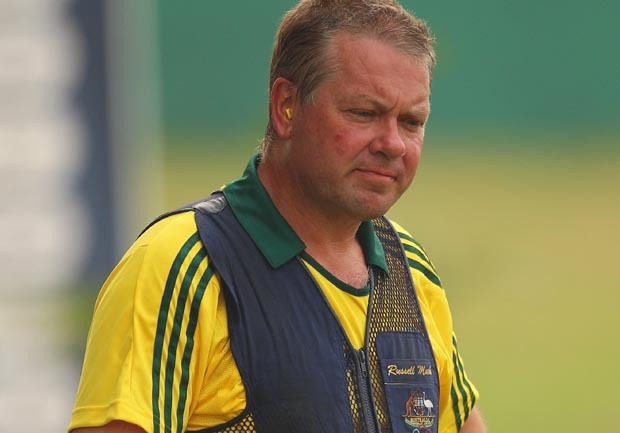 Russell, the Olympic champion in the double trap at the 1996 Atlanta Games, will instead share with male team mate Michael Diamond. But he'll be sneaking out at night to see Lauryn, he said. "Michael Diamond will be in the room sleeping with me," Mark said. "He's not as good looking as Lauryn, he's not as cuddly as Lauryn but he's my room mate. I don't have to agree, but that's the reality. "I'll probably walk across the corridor into Lauryn's room some nights," he added, laughing, as he sat next to his wife at an Australian team briefing. "As far as I know that's not illegal, still. It's just I've got to get out of there before the sun gets up." Australian team chef de mission Nick Green then cut in with: "We might move on," as Mark outlined his nocturnal plans for the games. A veteran Olympian, Mark has a reputation for being outspoken, sometimes controversial and often in the news. He recently criticized the Australian Olympic Committee's decision to ban its athletes from using strong sleeping pills. Swimmer Grant Hackett said he became addicted to pills, leading the Aussie Olympic body to outlaw them, but Mark said it could cost the country medals at the London Games because some athletes benefited from using them. Mark said he often used sleeping pills - although not the strong type - at the Olympics as he was such a "poor sleeper," and stopping athletes from using their preferred pills could mess with their routine. In May, Russell made headlines when he pledged to wear a lime-green "mankini" at the opening ceremony of the Olympics after losing an ill-advised Aussie Rules football bet.